Tonight they are predicting our first frost of the season, so this may prove to be the natural end of what will be remembered as one of the most memorable summers of my life. 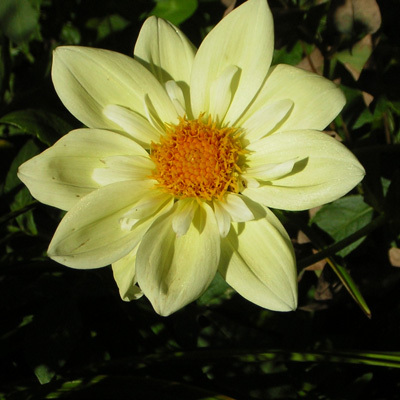 So I thought I would share with you some of the final glories of summer before they fade or freeze. 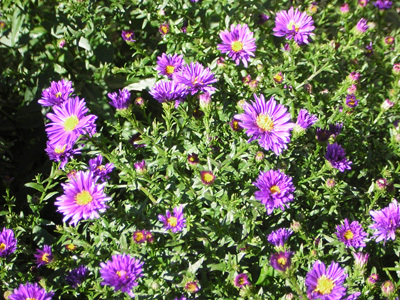 These are flowers that whisper of fall’s fast approach. I don’t know what this sweet little buttery yellow flower is, but it’s marvelous in its simple beauty. 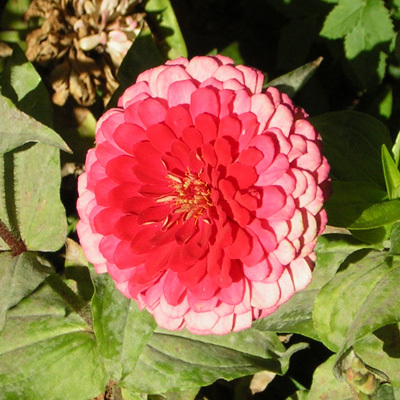 How you could not adore this pink zinnia, that gets deeper and deeper towards the center? 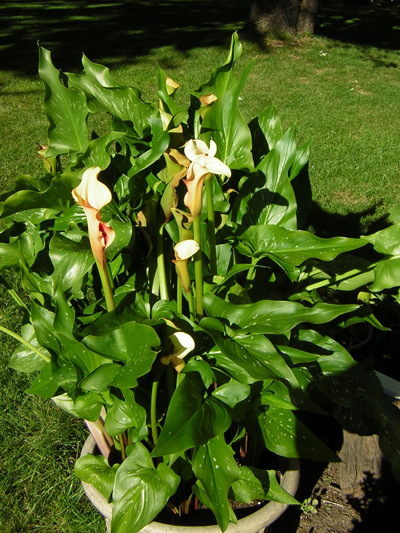 I fell in love with calla lillies when I was in Guatemala – they grew wild on the sides of the mountain roads. I decided I wanted to grow some myself. 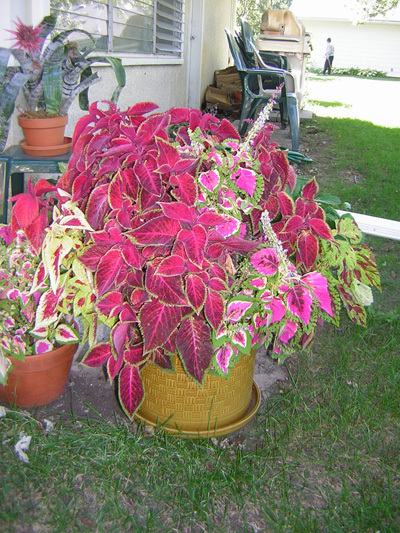 They are so simple, but I do love coleus and the color it brings to the yard. 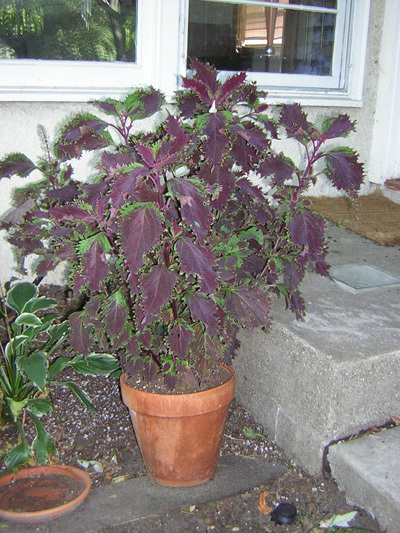 This is a magnificent burgundy coleus – the picture doesn’t do it justice. 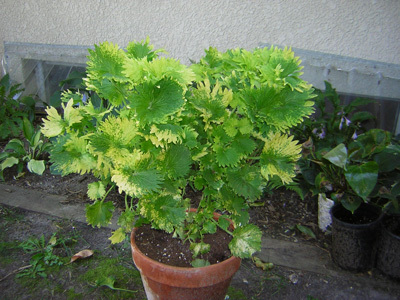 This lime green and yellow variety we tried this year is luscious, isn’t it? 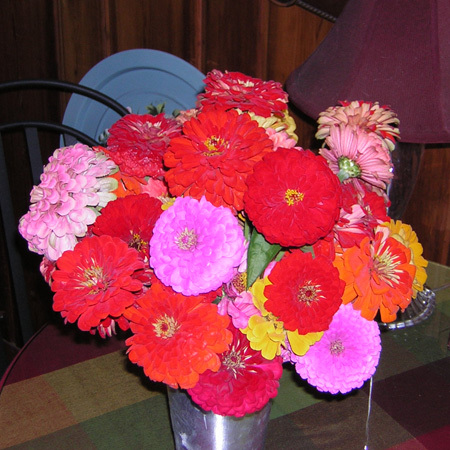 Sometime later tonight we will pick all the zinnias and tomatoes – and begin the inevitable turn inward that comes with fall. No, no, no. I did not create these delightful, delectable, delicious, degorgeous mittens. They were knit for Harald and me by Berit & Turid, two longtime family friends from Norway who were recently here for a visit – wonderful women I am already anxious to see again. 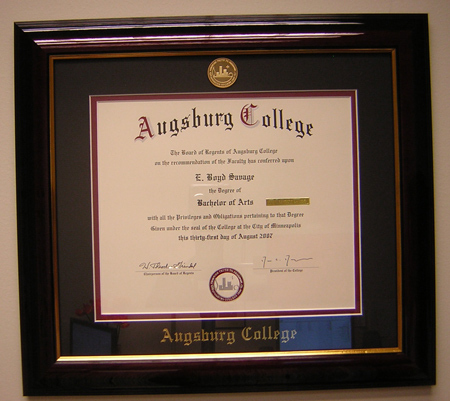 But for those of you who hadn’t yet seen these (or couldn’t, because you are too ding-dang far away), I wanted to share the photos. 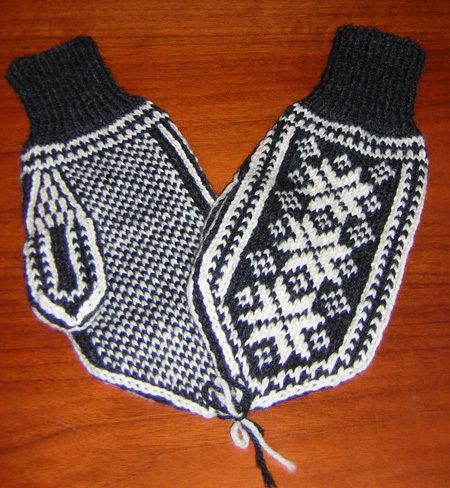 The pattern and workmanship are exquisite and they were a surprising and much-appreciated gift. 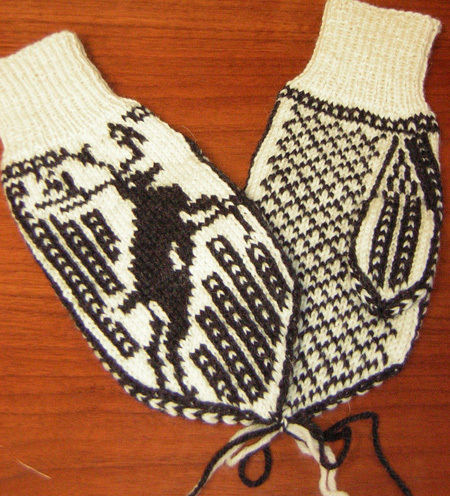 This pair with the deer on them are, I think, going to be Harald’s. This pair with the traditional snowflake pattern are going to be for me – I hope. Then again, we always swap them whenever we want! 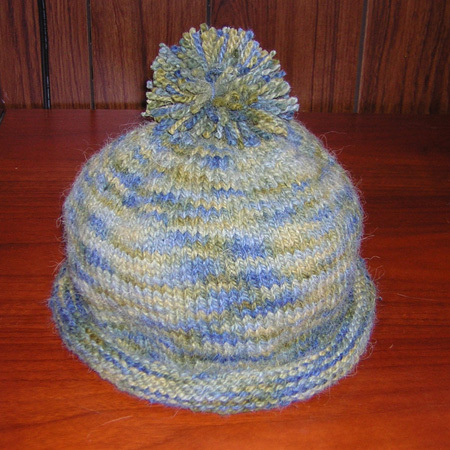 It seems only fitting to give those who are interested a peek into my recent knitting obsession. This is the first pair of socks I am making, a result of careful teaching from a friend in St. Paul who makes oodles of socks. Here is sock 1. I’ve done the ribbing, body, heel flap, and I’ve turned the heel. 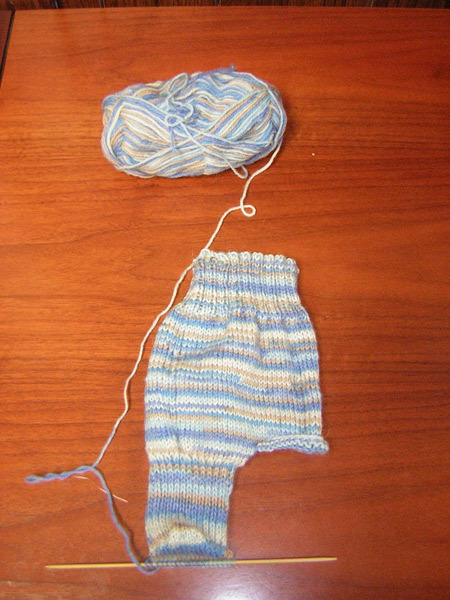 I’ve yet to do the gusset and rest of the sock. That’s why it looks unfinished. As soon as I get sock 2 to the same place, my friend is coming over for my next sock lesson. And here is sock 2. Having been adequately warned about the dangers of “second sock syndrome” – where you finish the first sock and not having started the second sock, never do – and so I’ve cast on for this sock as well and am getting the ribbing done. 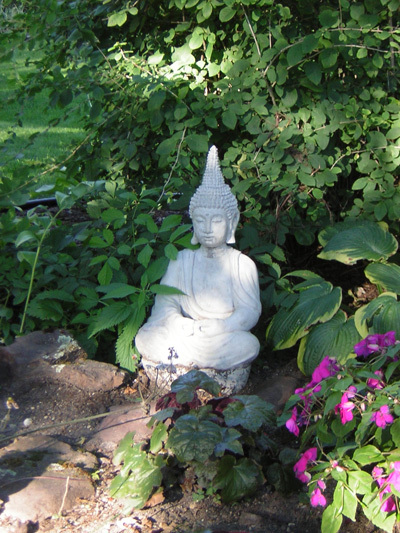 Kind of putzy, but it’s a nice change to work at slower pace and on a smaller scale. 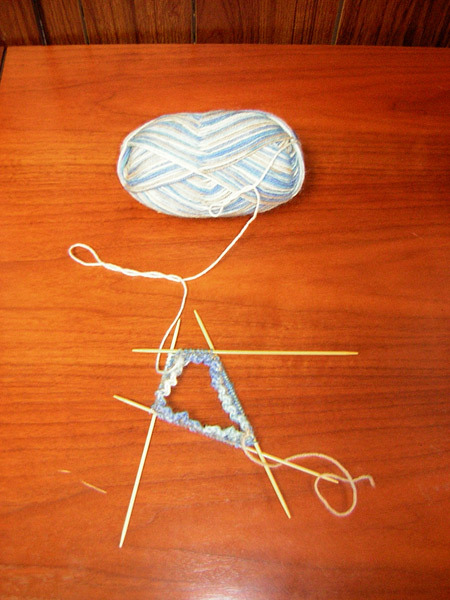 You know, I’ve always been so impressed when I see someone working on some knitting that has four or five needles all going at the same time. It always looked so awesome and so intimidating. So it gives me no small thrill to be able to see those same needles in my own hands at night. What can I say – I thrill easily over certain things – yarn being among them. I’ll post pictures of my Einstein Coat once it looks like something other than a very long and very wide scarf. I’m almost ready to begin the front panels.